Berger Bullets has always been a leader in evolving the information provided to shooters, helping them make the most educated decisions regarding their bullet choice. Once again, we are pioneering new advances in ballistic performance data. First, we made new advancements in the area of bullet stability and twist rates. Modern long range bullets have benefits that cannot be fully realized with a single digit twist rate number, such as 1:12”. There is a big gray area of marginal stability in which bullets can fly with good accuracy, but a depressed BC. Recognizing this reality, Berger is now listing a new optimal twist rate. The listed twist rate will stabilize the bullet to a 1.5 stability factor (or higher), which achieves its full performance (BC) potential. Second, we have updated all of our Ballistic Coefficients to be even more accurate. We have provided some additional information below to help you better understand the changes. Prior to 2008, all of Berger Bullets’ BC’s were calculated using a computer prediction. Early in 2009, we began measuring BC’s with live fire testing. As a result, Berger’s BC’s were updated and G7 BC’s were also made available. This represented a dramatic improvement in the accuracy of performance data at that time. Since 2009, the BC’s assessed for Berger Bullets have not been updated. As part of our ongoing effort to provide shooters with the best information possible, Berger has been testing every lot of bullets produced for the last several years. The result is updated and highly accurate running averages of BC’s for recent production lots. How and why would the BC of a bullet change? Changes in BC are due to numerous factors, both deliberate and unavoidable. One deliberate change that was made to many of the boat tails was to go from a 9 degree to a 7 degree angle, which decreases drag (and increases BC) by about 2%. Other factors, such as manufacturing realities, have caused recent lots to be slightly different (higher or lower BC’s) than those tested over 5 years ago. Finally, original tests were conducted on single lots, so possible testing inaccuracies may have occurred. These days, the live fire testing is done in a more controlled environment. Testing of subsequent lots is highly repeatable. 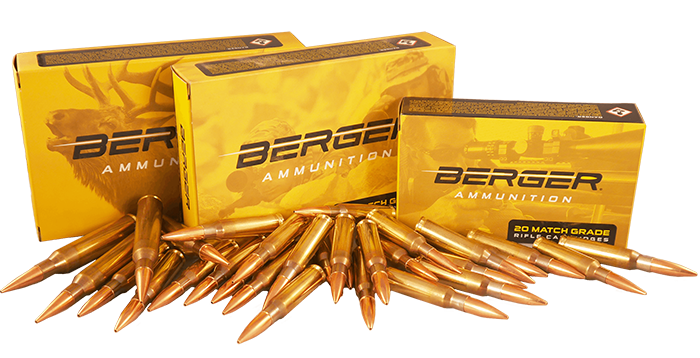 This update captures all those changes that have taken place and brings the advertised performance of Berger Bullets up to date. Some bullets have had many lots made in the last few years, and so the updated BC’s are comprised of many lots; whereas some of the less popular bullets have their updated values based on fewer recent samples. How much have the BC’s changed and what does it mean to me? Typically the change in BC is within +/-2% from the original values, but there are a few that have changed by more than +/-5%. These may seem like small changes, and they are by common standards. 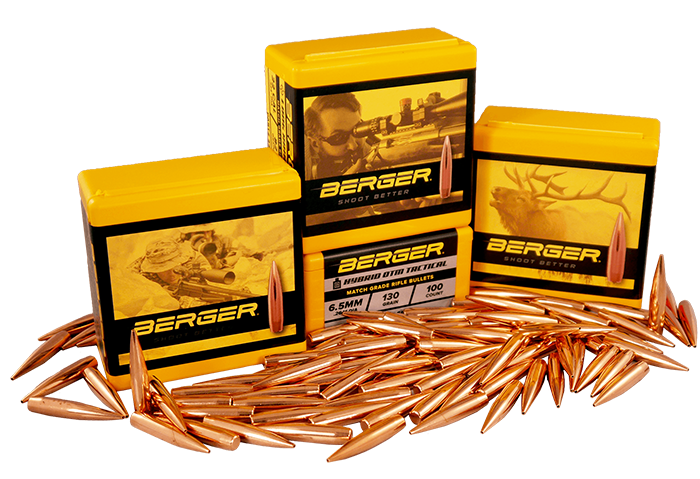 Berger Bullets has built a reputation for exceeding the common standards and providing the precision shooter with a higher level of information than what is commonly available. For example, look at the 30 caliber 185 grain VLD Hunting bullet. The G7 BC of this bullet was updated from 0.281 to 0.286, a +2% change. If you’re using this bullet in hunting scenarios within a couple hundred yards, a 2% change in BC is meaningless to you. However, suppose you’re using this bullet for long range hunting, like many Berger customers. When predicting the drop for a long range shot, a 2% error in the bullet’s BC translates to a miscalculation in drop of 4” at 1000 yards. Considering that the vital area of your target may only be 8” to 10”, the 4” error in drop can be very important! There are many challenging and uncertain variables that long range shooters need to overcome related to hitting small targets at great distances. 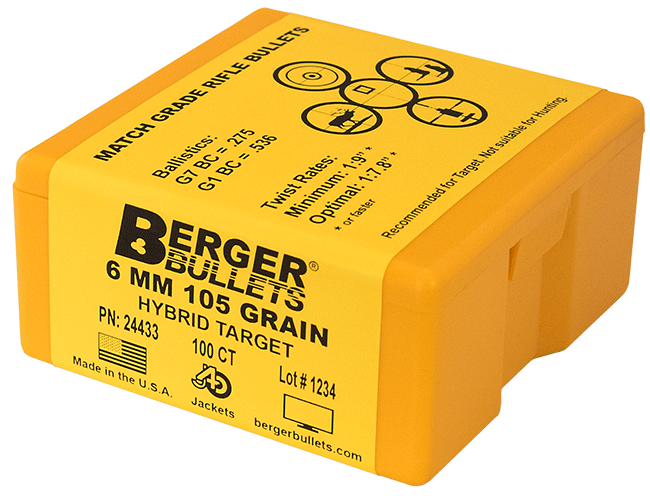 When you shoot Berger, you can trust that your bullet information is accurate and worry about the rest of the puzzle. The table below shows a listing of the newly assessed BC’s, and the percentage change from the previous values*. 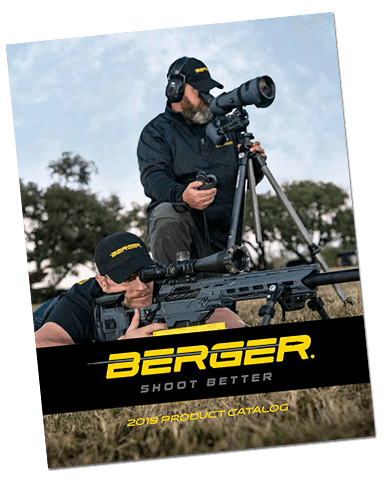 The Berger website (including the product information page, the quick reference sheet, ballistic calculator and stability calculator) has been updated with this information. All new lots of bullets will be packaged in new labels containing this information as well. Lastly, we have added the G7 form factor to our Quick Reference Sheet. The analysis of form factors can be very useful when considering a bullet’s long range performance potential. Going by BC alone can be deceptive since BC includes the weight and caliber of the bullet. Form factor indicates how much drag the bullet has, which is a very important consideration for all bullets of all calibers. To read more about the G7 form factor click HERE. Click HERE to see the latest Quick Reference Sheets with the updated BC’s, new optimal twist rates and the G7 form factors listed.